Submitted photos Kendra Schide — chief naturalist at Bellbrook-Sugarcreek Park District — speaks about endangered, threatened, and extinct species to Bellbrook Middle School students. A Bellbrook Middle School student tries on an animal. 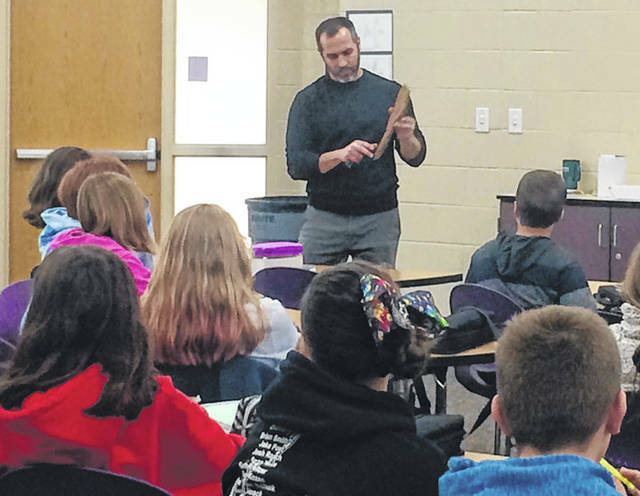 Mike Vaughn — an environmental scientist at Wright-Patterson Air Force Base — reviewed careers in environmental science and spoke about invasive species. BELLBROOK — Seventh graders at Bellbrook Middle School recently wrapped up their environmental science unit. As part of this unit they had Kendra Schide — chief naturalist at Bellbrook-Sugarcreek Park District — and Mike Vaughn — an environmental scientist at Wright-Patterson Air Force Base. 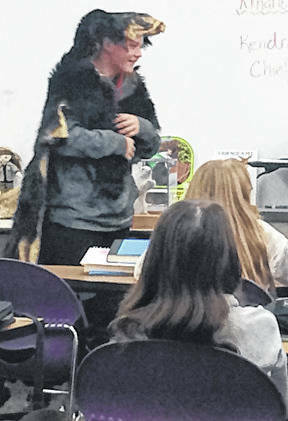 Schide brought in pelts and other hands on items to share with the students as she talked about endangered, threatened, and extinct species. She also reviewed factors that could affect population size and biodiversity such as predators, poachers, pollution (and environmental solutions to pollution), and more. Vaughn reviewed careers in environmental science, he talked about invasive species and passed around the emerald ash borer and the bark/tree that showed their tracks, he reviewed threatened vs. endangered species as well, and biodiversity (noting factors that would affect biodiversity like habitat loss). https://www.xeniagazette.com/wp-content/uploads/sites/32/2019/01/web1_Kendra-guest-speaker_ne2019117194819102.jpgSubmitted photos Kendra Schide — chief naturalist at Bellbrook-Sugarcreek Park District — speaks about endangered, threatened, and extinct species to Bellbrook Middle School students. 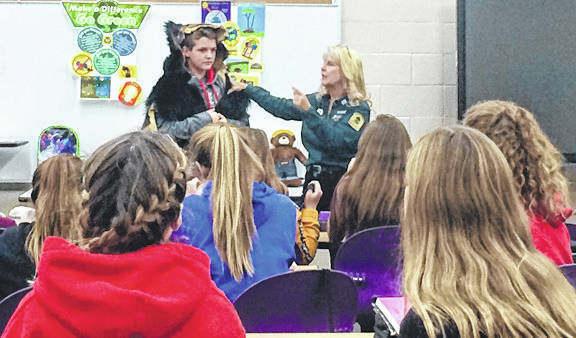 https://www.xeniagazette.com/wp-content/uploads/sites/32/2019/01/web1_Kendra-Parks-guest-speaker_ne2019117194820341.jpgA Bellbrook Middle School student tries on an animal. https://www.xeniagazette.com/wp-content/uploads/sites/32/2019/01/web1_MV-Envir.-Sci.-guest-speaker_ne2019117194821312.jpgMike Vaughn — an environmental scientist at Wright-Patterson Air Force Base — reviewed careers in environmental science and spoke about invasive species.